"Reflections" by the University of Michigan Symphony Band (Michael Haithcock, conductor) features Grammy award winning composer Michael Daugherty’s Concerto for Tuba (Carol Jantsch, soloist) and Pulitzer Prize winner William Bolcom’s. Circus Overture. Works by Roshanne Etezady, Kristin Kuster, and James Stephenson (with bassoon soloist Jeff Lyman and vocalist Scott Piper) offer additional sonic reflections on non-musical inspirations. Jeffrey Lyman has established himself as one of the premier performers, teachers, and historians of the bassoon in the U.S. He has been Associate Professor of Bassoon at the University of Michigan since 2006, and, prior to that, held positions at Arizona State University and Bowling Green State University. His principal teachers include Bernard Garld of the Philadelphia Orchestra and Richard Beene and Hugh Cooper of the University of Michigan. He holds an undergraduate degree from Temple University and his MM and DMA from the University of Michigan. 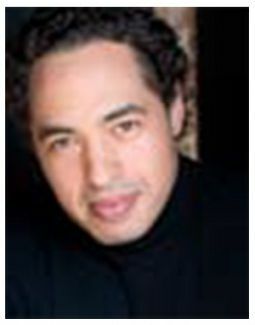 He has been a member of numerous orchestras across the country and has performed with the Philadelphia Orchestra, the Metropolitan Opera Orchestra, the Opera Company of Philadelphia, the Savannah Symphony, the ProMusica Chamber Orchestra of Columbus, the Grand rapids Symphony, and the Michigan Opera Theatre, among others. He has appeared as soloist and in the orchestras of the Moscow Autumn Festival, the Festival dei Due Mondi (Spoleto, Italy), Académie Européene d’Été de Musique (Tournon, France), Colorado Music festival, Vermont Mozart Festival, Bellingham Music festival, Saint Bart’s Music Festival (French West indies) and the Chamber Music Conference and Composers’ Forum of the East at Bennington College. In addition to his varied career as a performer, he is also well known as an author and has published several articles, recordings and web pages on compositions for bassoon from the former Soviet Union, Mexico, France and the United States. His studies on the great woodwind pedagogues of the 19th century have culminated in several releases collected as the Jeffrey Lyman Edition from TrevCo Music Publishing, including the first complete English translation of the Nouvelle Méthode de Basson by Etienne Ozi and a forthcoming translation of The Art of Bassoon Playing by Carl Almenräder. Recent projects include video recordings of trios and duos for oboe, bassoon and piano with Nancy Ambrose King and Martin Katz, articles on textual issues in the music of Stravinsky and Canteloube, as well as premier performances of recent works by the French bassoonist/composer Alexandre Ouzounoff. 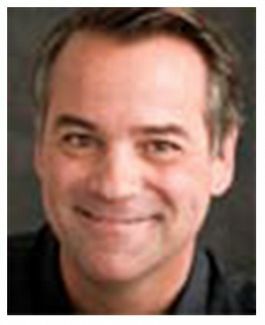 Scott Piper, assistant professor of voice at the University of Michigan, received a BM in voice performance from Truman State University in 1993 and a MM (1995) and DMA (2012) in voice performance from the University of Michigan. He started his professional career at Madison Opera in 1999 in a much-acclaimed production of Verdi’s La Traviata. Since that time, he has appeared with Houston Grand Opera, Dayton Opera, Madison Opera, Minnesota Opera, Opera Pacific, Lyric Opera of Kansas City, Michigan Opera Theater, New York City Opera, the International Music Festival of Macau, Vancouver Opera, Compañia Lírica Nacional de Costa Rica, the New People’s Theater of Moscow (Russia), and the Anna Livia International Opera Festival in Dublin, Ireland. In Italy he has appeared in Rome, Catanzaro, Modena, Ravenna, and at Teatro di Verdi in Busseto. As a concert soloist, Piper has appeared with many American orchestras and sang the North American Premiere of Perosi’s oratorio La Rissurezione di Christo with the Friends of Opera at U-M. He has received awards from the University of Michigan Friends of Opera, the National Society of Arts and Letters, the William C. Byrd Foundation, the Gerda Lissner Foundation, the Ken Boxley Foundation, the Licia Albanese-Puccini Competition, the George London Foundation, and received the Jim and Janice Botsford Study Grant. Carol Jantsch has been Principal tuba of the Philadelphia orchestra since 2006. She won this position during her senior year at the University of Michigan, becoming the st female tuba player in a major symphony orchestra. an active recitalist and soloist, she has performed tuba concertos with numerous ensembles, including the Philadelphia orchestra, Columbus Symphony orchestra, and United States Marine Band. She has been honored with a “Best of Philly” award from Philadelphia Magazine, prizes in several international solo tuba competitions, and alumni awards from both interlochen arts academy and the University of Michigan. Carol is increasingly active as a teacher and clinician, and has given masterclasses in Europe, Asia, and North America. She is currently on faculty at the Yale University School of Music and Temple University Boyer College of Music, and is also on the roster of Yamaha Performing artists. Her participation in this recording project was supported by the H. Earl Reynolds fund.